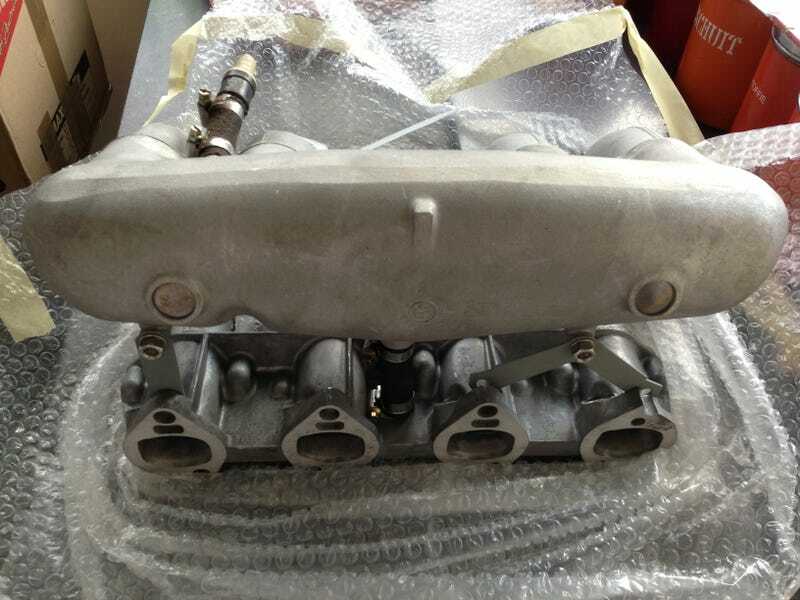 Today I received my ultimate birthday-gift as I'm turning really old, although I bought it myself: The intake manifold for my Kugelfischer 2002 tii conversion. Good to know my lovely touring will always be older then I am. Now where am I gonna get that Kugelfischer-pump? These are getting really expensive. The tii also had other pistons, furthermore it's pretty the same. Need a retour-duct/pipe (not sure how it's called in English) to the fuel-tank obviously.